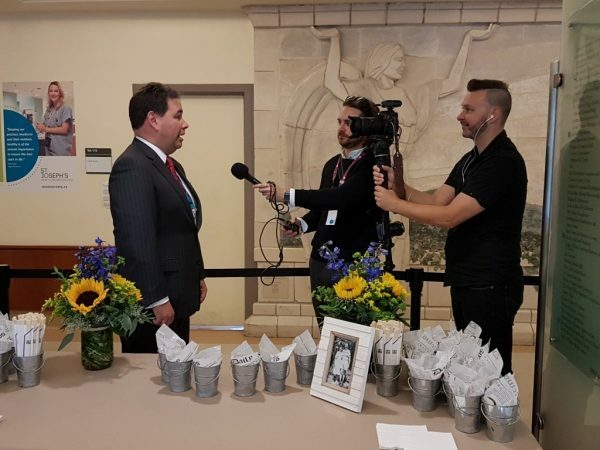 Tigris has been working hard for the past couple of months planning a luncheon for St. Joseph’s Health Centre, to announce the biggest donation the hospital has ever received, $10 million dollars!! Scroll down for the full video. At first, planning a luncheon may seem a little less intimidating than an evening event, but it still includes all the same components. When you’re planning a luncheon, you must be organized, proactive and think big! Below are 3 tips to help you plan an unforgettable luncheon. 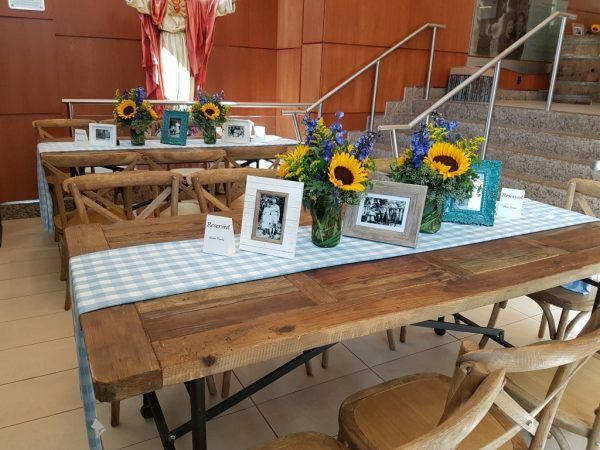 The Donor Luncheon took place on Thurs., Sept. 7 from 11:30am-2:30pm within the round-about at the Melnyk Pavillion Entrance at St. Joseph’s Health Centre with the theme ‘Family Roots’. The guest list reached approximately 200 guests, which is a medium sized event. The celebration was to be an open, outdoor reception with speaking remarks, food & beverages, music, and a banner reveal. Due to rain, the event was moved indoors. AV/Staging for a host/speakers to address the crowd easily, in addition to ambient background music during the reception. Entertainment including live music and DJ. Catering, including 4 food stations serving a variety of hot and cold hors d’oeuvres and beverages. VIP reserved dining “harvest” tables located team the main stage. Rustic, Hamptons style décor including lounge seats, wine barrels used as cruiser tables and wild flowers. The critical path outlined each of these components in order of importance. The document also indicates who is responsible for each line item, when it’s due and if it’s been completed. Critical path’s are mandatory for staying on top of your game and managing your time line. Although no one likes to talk about budget, it’s extremely important to be transparent and realistic with your budget. This will effect the theme and decor of the event, and how much or how little you’ll be able to have to maximize the space. 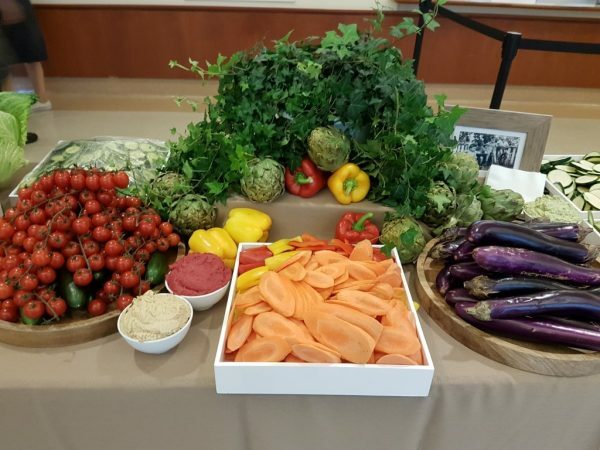 For the donor luncheon, Tigris recommended decor based on the concept of the “Family Roots” along with an outdoor rustic/harvest to table feel. We sourced tents, tables, chairs and staging. The “Hamptons” decor included harvest tables, comfy sofas, wine barrels, burlap cubes, and wagon coffee tables. You can see some of these items in the photo below. In addition to a rustic feel, the Hamptons style is sophisticated and classic. Tigris created this look with large and small floral centerpieces including beautiful arrangements of sunflowers. To tie it all together, a guitarist played ambient music throughout the luncheon. Depending on budget, you may want fresh or imitation flowers for your event. This will also impact if you are renting decor or purchasing it to utilize for other events; or hiring a real musician or playing your own ambient music through speakers. Luncheons are usually short and sweet, and to keep your guests entertained, include special guests to speak at your event. These speakers can be paid, or acknowledged with a special gift basket or signage onsite. Our guest of honor was the donor, Peter Gilgan and family, who own the biggest home building company in North America, Mattamy Homes. Gilgan donated a generous amount to the hospital and the event was in his honor. In addition, the president of CIBC and Mayor John Tory attended and said a few words. What an honour and privilege to have been part of planning a luncheon for such a special day for St. Joe’s! Why St. Joseph’s Health Centre? St. Joseph’s promise is to make this community one of the healthiest in Canada. This means looking at the needs of our neighbors, finding ways to make their care even better, and making it happen. 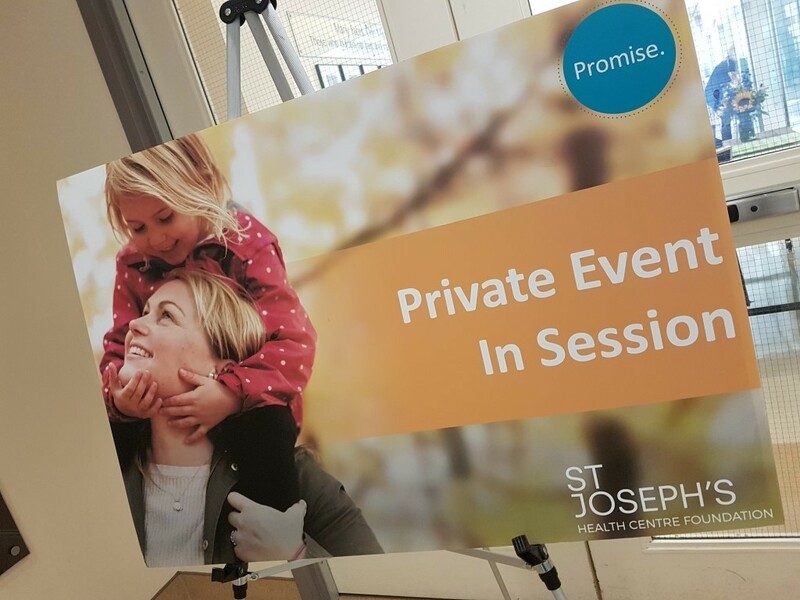 To do this, they’ve launched Promise, the $70 million Campaign for St. Joseph’s Health Centre that will build a better St. Joe’s for our community. Peter Gilgan made a generous contribution to the hospitals ‘Promise’ Campaign. Peter and his siblings were also born at the hospital so this was a special gesture for him. Four generations of the Gilgan family were in attendance at the event including Peter’s mother, a few siblings, grand children and event great grand children! St. Joseph’s Health Centre is a leader in caring for kids in our west-end community. Last year, parents brought their kids to St. Joe’s more than 56,000 times and 3,250 babies were born. More people come to our Emergency than anywhere else in the city. Last year, St. Joseph’s had more than 100,000 visits in Emergency – 19,000 alone in our Paediatric Emergency. 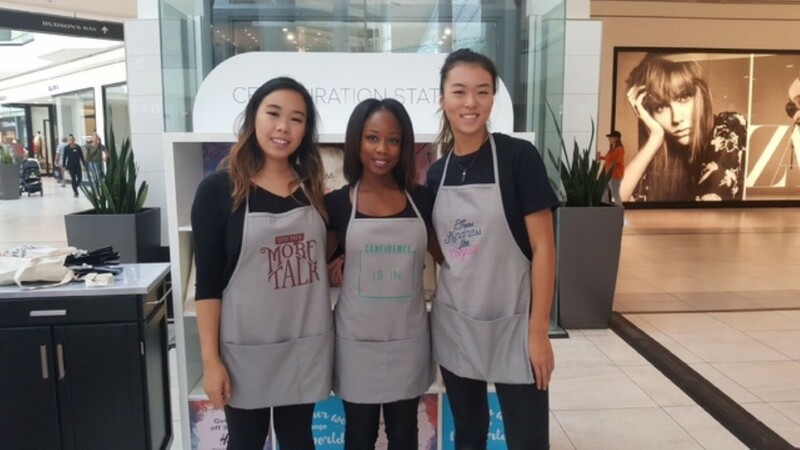 Are you looking to execute a unique, themed event? 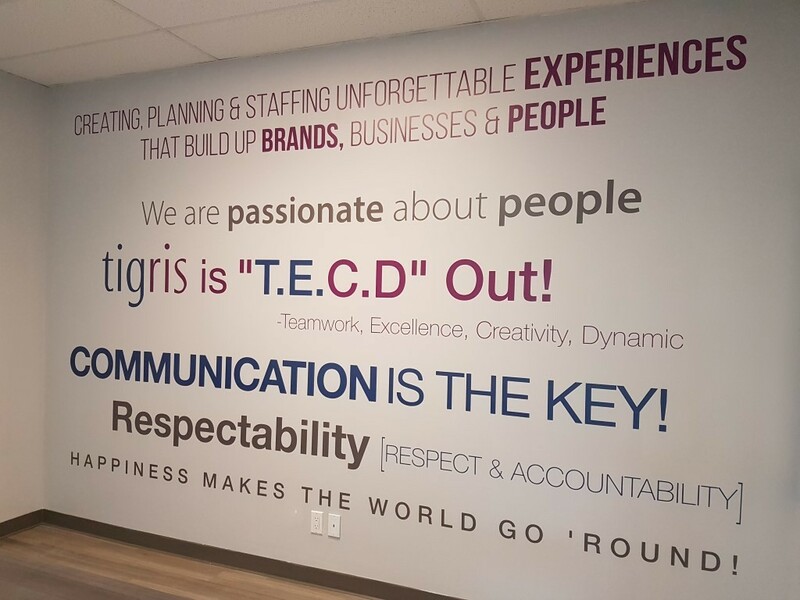 Contact Tigris today to learn more about our event planning and staffing services. In addition to planning a luncheon, this isn’t the only event we’ve planned for St. Joe’s – we’ve planned their Toronto West Halloween Fest since 2012. The 6th annual event is coming up Oct. 29, 2017.